Starbucks Puppuccinos Good or Bad for My PupSize Dog? What is a Starbucks Puppuccino ? If you’re like me, you love coffee, which means Starbucks is a daily pit stop, for you and your pup. One item on their “secret menu” is a Puppuccino. A Starbucks Puppuccino is an espresso-shot-sized paper cup full of whipped cream, just for dogs. Starbucks offers these for free, at most Starbuck locations. PupSize dogs can be especially sensitive to dairy products and some may even be allergic. Some dogs have no problems digesting dairy products, while others may experience acute intestinal distress — like gas, diarrhea or vomiting — whenever they consume these kinds of foods. It’s always, it’s best to ask you veterinarian, if you are unsure or to just stay away from extra things that aren’t worth the risk. A Puppuccino or a small cup of Starbucks whipped cream is basically made of cream and sugar. When we go to Starbucks, I may order a Puppuccino, about once a month, and usually Abigail takes 1 or 2 tiny, little licks, followed by the biggest smile. It’s more of a novelty and something fun for us to do together or for a special occasion. A better alternative, maybe to just order your pupsize dog a simple cup of water. Typically, we when we are out and about, I will order her a small cup of ice water at Starbucks, instead of a Puppuccino, even though I prefer to give her bottled water. Good or bad? Well, because some dogs are bothered by dairy and Puppuccinos have no nutritional value, it’s probably not good for a dog to have one of these sugary treats every day, but from time to time, it’s probably not too bad. In any case, we applaud and appreciate Starbucks for doing this for our pups and wish other businesses would follow their lead… I mean, what’s better than being able to share our lives with our pupsize dogs. Click here to find out What’s in a Starbucks Puppuccino? What is in a Starbucks Puppuccino ? My baby is a shizhu mix (five breeds totally), I’ve never taken him to Starbucks but I have squirted about a tablespoon of whip cream on a paper towel, every once in a while. Never an issue, honestly he’s never been sick! When o grew up we had large outdoor dogs and w never bought dog food, they ate what we ate and they lived to be 15-20 years and were never sick at all. So I think it depends on the individual dogs digestive tolerance. I don’t give him human food daily but when I do, it’s not much. He loves shortbread cookies, man n cheese, pound cake, chicken nuggets, BK plain burgers. He’s not over weight but is hyper with his toys. He’s mine now and very healthy and SPOILED!!!! I would NEVER feed to an animal….don’t blame the messenger. I am a naturopathic physician and clinical nutrition specialist. The barista above is right. Everybody’s just guessing here. Well here’s a fact from a vet tech who has seen it far too many times… dog’s cannot process fat the way humans can!! So unless you want to end up with your dog getting pancreatitis, which is extremely painful btw and potentially deadly, stay away from the puppyccino’s!!! I just brought my dog to the animal hospital because she was vomiting then unresponsive. The vet said it was most likely the whipped cream since it was the only anomaly. This conclusion was after blood work, EKG, fluids, and other tests. OMG, What breed of dog? Never heard of this ever happening my GSD has a PupAChino a lot never no issue! Maybe something else in combination. As a barista, I despise this growing trend. 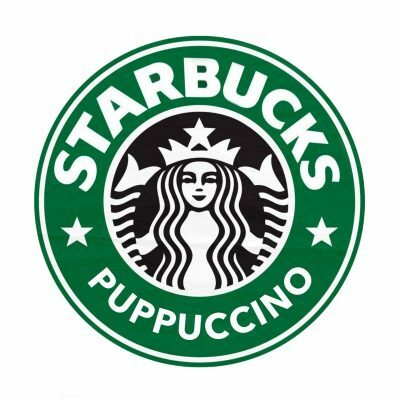 Puppuccinos are NOT a real or recognized Starbucks product. Like with all “secret menu” items, this is a product invented solely by customers, not by Starbucks. We don’t support our customers feeding potentially life-threatening food to their pets, and we are not liable in the probable outcome that your dog becomes sick, or worse. The only safe thing we can give your pet is a cup of water. The sugar and fats and carageenan aren’t great for dogs, but as long as Xylitol (a toxic sugar substitute) isn’t an ingredient, I’m guessing a Puppuccino once a month is likely okay. Just remember, though, some dogs are terribly allergic and lactose intolerant, so check with your vet first. Thank you for your comment. We totally agree. Some dogs are very sensitive to dairy and as you mentioned, it is always best to check with your trusted vet.